Do you ever feel like headaches just happen, with no rhyme or reason? Many people simply feel unlucky, and suffer excruciating pain as a chronic fact of life. The best home remedy for treating headaches naturally is found in making lifestyle changes. Locating and controlling common reasons for headaches mean you can reduce the duration and frequency of your headaches. Triggers can include alcohol, certain food and beverages (especially caffeine), changes in weather, bright lights, certain medications (such as birth control), noise, smells, smoking, and stress. Understanding dietary, environmental, and personal triggers is the first step toward taking control and treating headaches naturally. Alcohol can trigger two types of headaches: an attack within a few hours and a delayed attack, such as a hangover. Attacks which happen within a few hours, typically start between 30 minutes and 3 hours after your first drink. While some studies show red wine is more frequently a trigger than other alcoholic beverages, they are inconclusive. If you choose to drink, it’s strongly recommended you take note of how different alcohols affect you personally. There is no concrete evidence as to which foods and beverages trigger headaches, but some are more commonly considered triggers than others. Aged cheese, for example, is often considered a trigger. Additionally, caffeinated drinks, such as coffee, are also a common trigger. Surprisingly though, you’re more likely to get a headache after the caffeine wears off, not while you are drinking it. As with alcohol, paying attention to how your diet affects you personally is extremely important to controlling your headaches. For some people, changes in the weather can cause imbalances in the brain’s chemicals. This can include serotonin, which can prompt a migraine. Studies show bright lights are a trigger for 30 to 60 percent of migraine sufferers. This is particularly true of florescent lights. Additionally, during a migraine bright lights can be extremely painful to patients. Several medications have been attributed to the onset of headaches in patients. Birth control is one of the most common. Typically, those who are affected by birth control find their attacks seem to occur during the last week of their cycle. Roughly three quarters of migraine sufferers complain of sensitivity to sound. The kind of noise varies widely from extremely loud bass tones to quieter, less invasive notes. 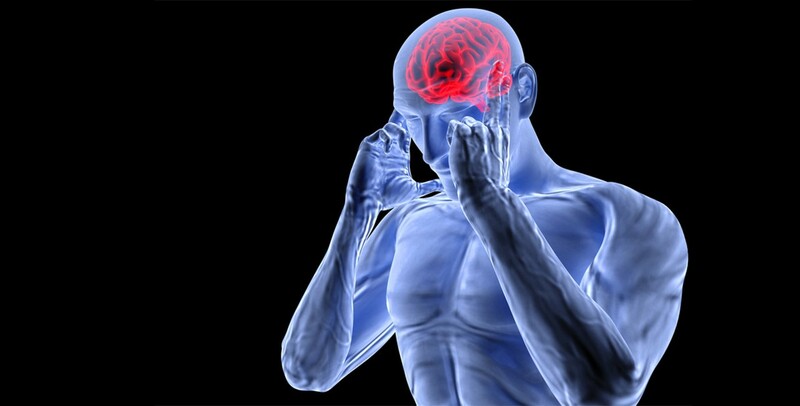 In extreme cases, some migraine sufferers experience temporary hearing loss. Strong scents, such as perfume, can often trigger a migraine. While the exact cause is unknown, such strong scents may activate the nose’s nerve cells. This in turn stimulates the nervous system associated with pain in your head. Just as with other stimulants such as alcohol and caffeine, tobacco is a common headache trigger. This is true for both the smoker and the non-smoker in the area. Stress and anxiety are one of the most common migraine triggers. While big life events such as getting married and having a baby can cause high stress levels, studies show day-to-day stress most commonly brings on headaches. How can you treat headaches naturally? Find out in Treating Headaches Naturally: The Treatments where we’ll explore specific lifestyle changes you can make.